The Cherokee are a tribe of an American Indian people who originally moved from the Great Lakes region to the southern Appalachian Mountains (Virginia, North and South Carolina, Alabama, Georgia, Tennessee, and possibly Kentucky). The Cherokee Land that was home to the tribe, as indicated on the Cherokee Land Map, had been occupied by the tribe before the arrival of the Europeans. The ownership of Cherokee land became the source of the bitter conflicts between the white European settlers, the U.S. and the Native American Indians. The Cherokee Native Americans lived in harmony with the land which was emphasized by the their culture, religion and beliefs. The idea of an individual person having exclusive use of a particular piece of land was completely alien to Native Americans. The Cherokee fought, as communities, with other tribes over hunting rights to their territory. But the "right" to the land was very different from the legal terms understood by the white settlers relating to individual ownership. The Cherokee Indians had no concept of "private property," as applied to the land, but were soon to experience this European idea, through the constant encroachment on the tribal territories and Cherokee land. The American Indian Wars is the name used in the United States to describe a series of wars, battles and conflicts between American settlers or the U.S. army, and the Native American Indians before and after the American Revolutionary War. In 1838 and 1839 the Cherokee land was seized and the tribe forcibly resettled in Oklahoma. This bloody removal became known as the Trail of Tears. 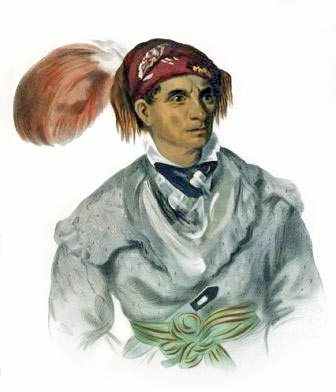 Some Cherokees hid in the Allegheny Mountains, where in 1842 a reservation was created for them in North Carolina; as a result, there emerged the two groups of Cherokee that exist today: the Eastern and Western Cherokee. The Dawes General Allotment Act was passed by Congress in 1887 which led to the break up of the large Indian Reservations and the sale of Indian lands, including Cherokee lands to white settlers.